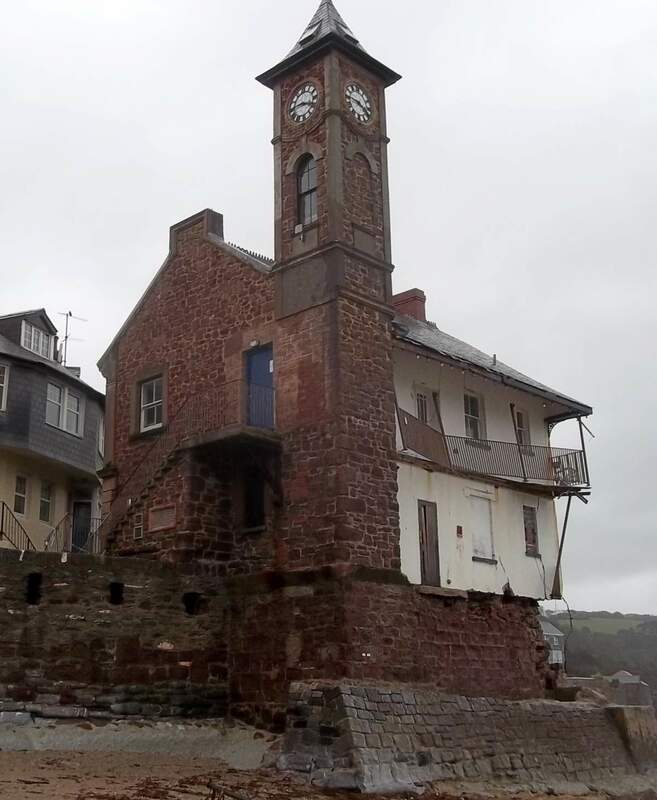 The Maker and Rame Institute Building, which includes the locally iconic Kingsand Clock Tower, was badly damaged by severe storms in early 2014. 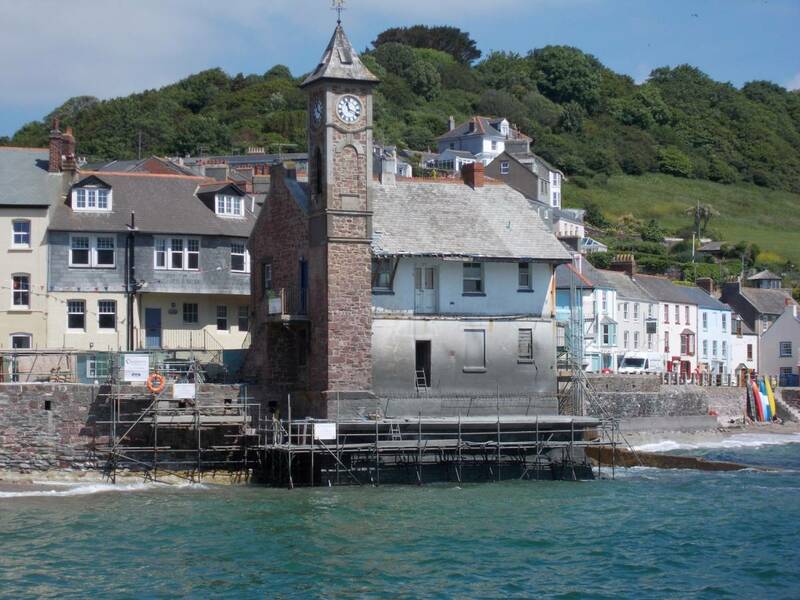 JGP designed the emergency temporary works and permanent remedial works, including the upgrading of the sea wall defences. The initial storm that damaged the building hit on the 4th and 5th February 2014. During this storm, some of the largest recorded storm waves hit the south coast of Devon and Cornwall. 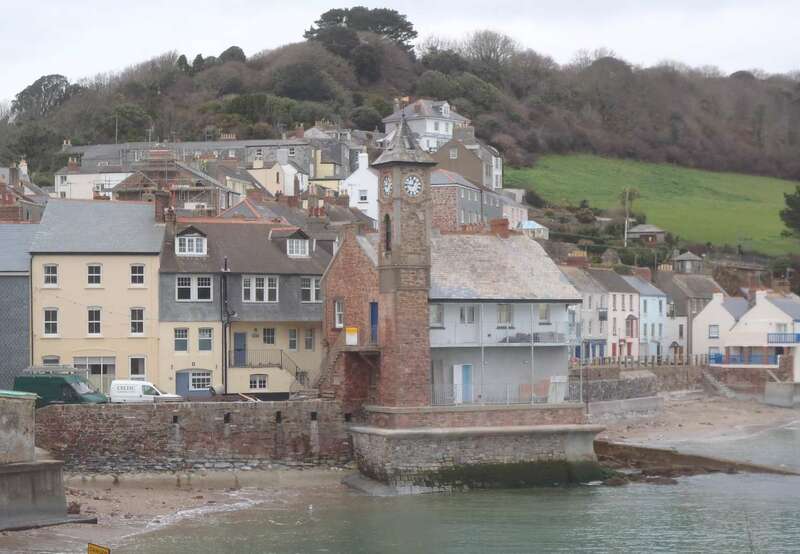 The distinctive Maker and Rame Institute and Clock Tower, built on the sea front at Kingsand, sustained substantial damage. 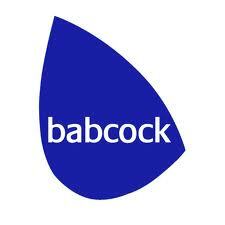 JGP were commissioned on the 7th February to engineer the emergency works to stabilise the building. 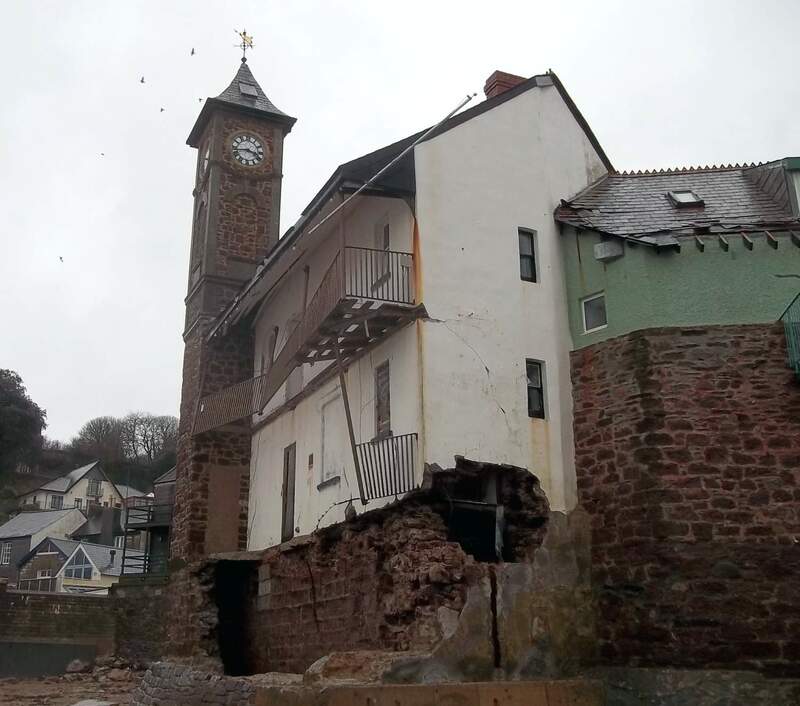 Over the weekend of the 8th and 9th February, Celtic Construction worked in very difficult conditions to install props to remove the risk of immediate collapse. And with further storms imminent, cement/sand mortar was temporarily hand-packed into the damaged south-east quoin masonry. 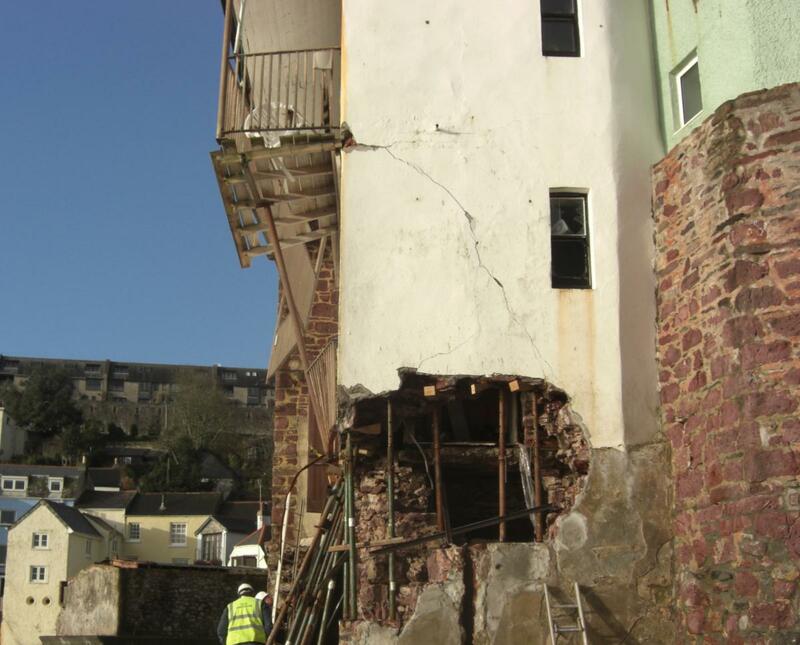 Over the 14th & 15th February 2014 the second severe storm hit causing further damage to the building. 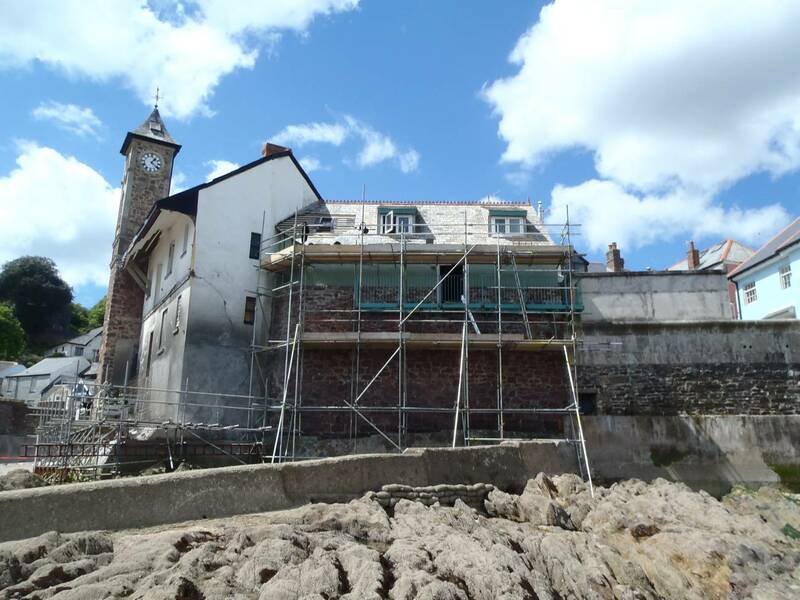 The south east corner of the building was breached, substantially reducing the masonry support to the clock tower. 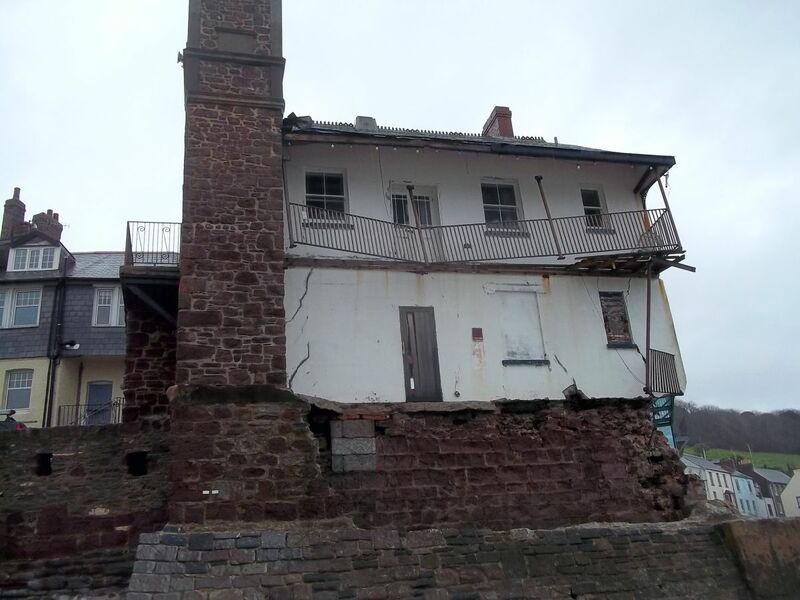 The original emergency propping works had stood up well and stabilization works began in earnest to continue to make safe the building safe. 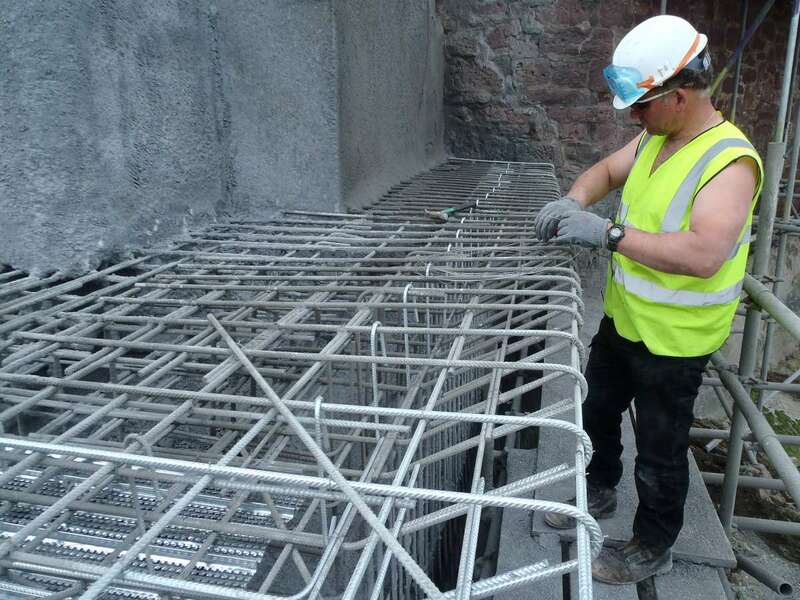 Within a week of the second storm, scaffolding was erected and sprayed concrete consolidation works commenced to secure the building. Starter bars and anchors were included within the emergency repairs to facilitate the permanent protection. 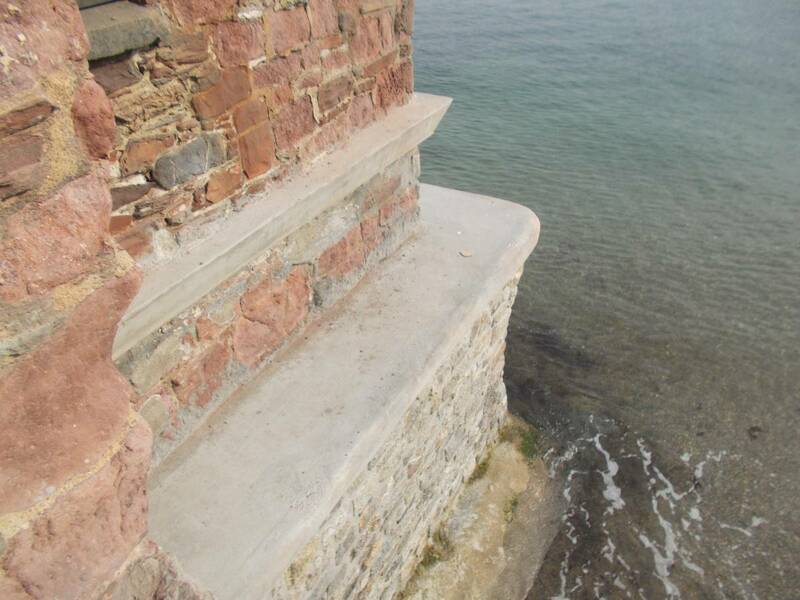 The new sea wall was raised by 1.2m and shaped to deflect storm waves. 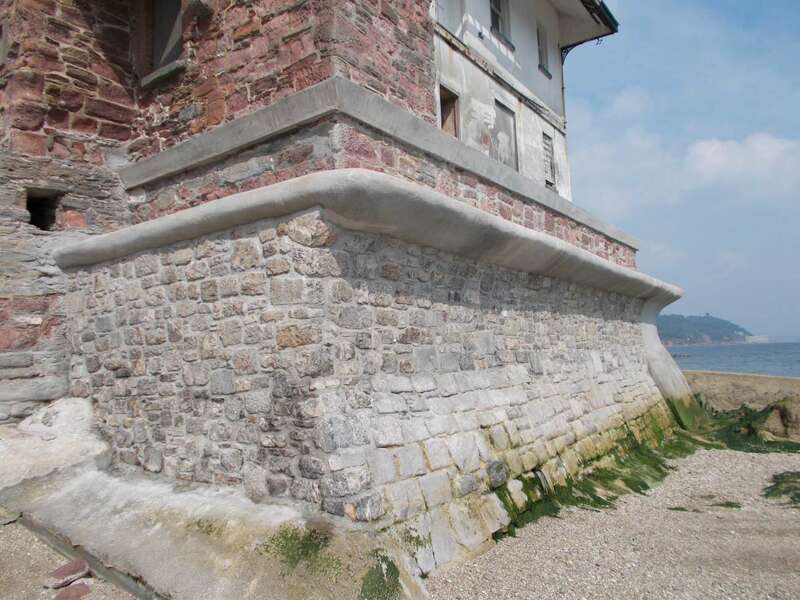 Master stonemasons faced the new sea wall using tightly jointed Plymouth Limestone to provide appropriate resilience against shingle entrained storm wave abrasion. 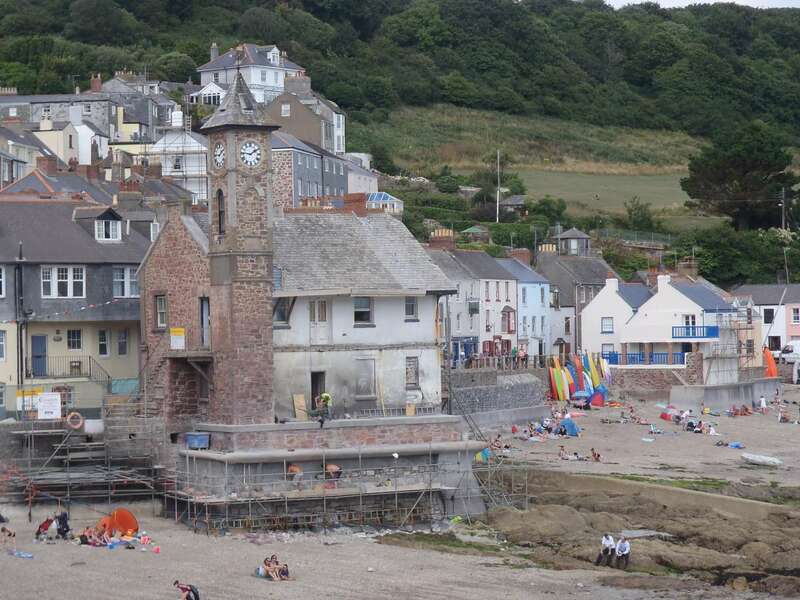 The completed scheme provided increased long-term protection from wave action to the iconic building.